It’s no secret that I like to take the least amount of time to “meal prep” as possible. So I feel real proud of myself when I can throw a few things into the crock pot and walk away for a few hours, and when I get back it’s done! Okay so maybe I have to spend 15 mins chopping and sautéing the cabbage. But I think it’s totally worth it! 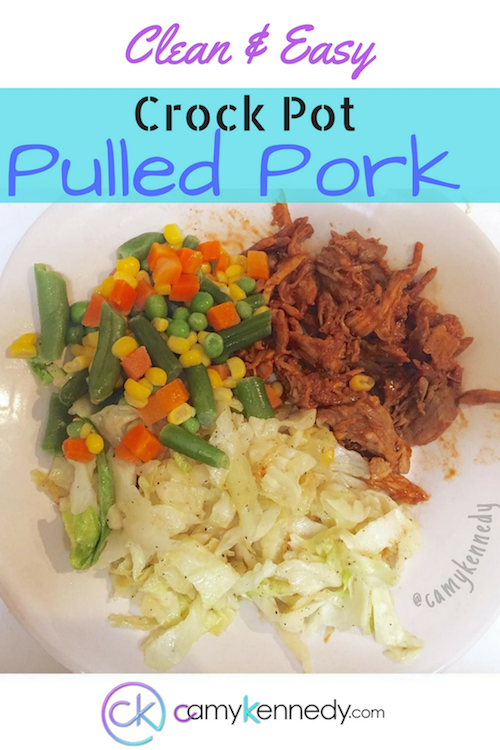 Enjoy as a meal with veggies and cabbage, or use the pork for some pork sliders during the week to change it up! Let me know what you think about this ridiculously easy meal! For more of my Clean and Easy recipes, subscribe here.